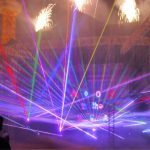 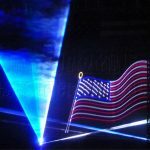 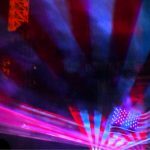 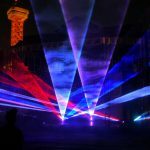 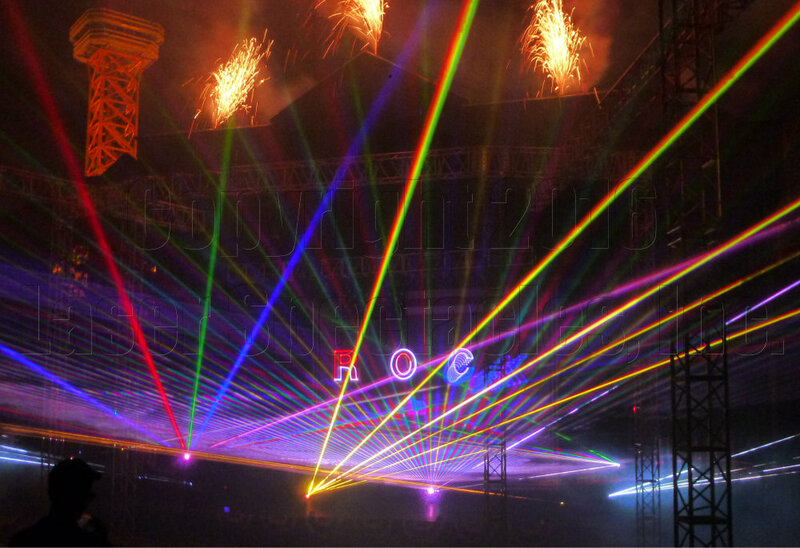 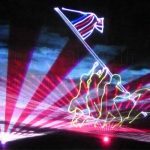 Six Flags Over Texas Arlington Laser Show | Laser Spectacles, Inc.
Laser Spectacles traveled to Arlington, Texas for the second year in a row to provide the “Coca Cola July 4th Fest” lasers. 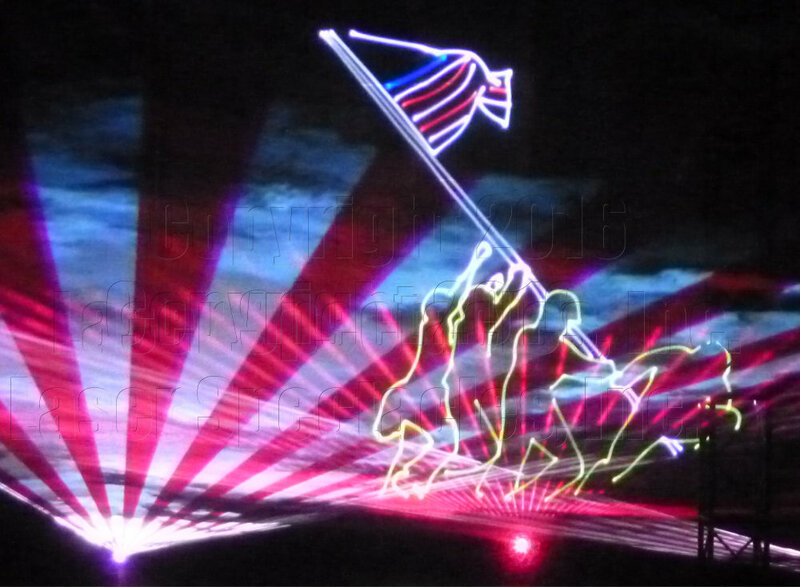 The show was scheduled for three nights in the Music Mill Amphitheater this year. 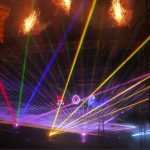 We were excited to be in such a great venue, especially because it has an extensive truss system that extends out into the audience left over from a previous production. 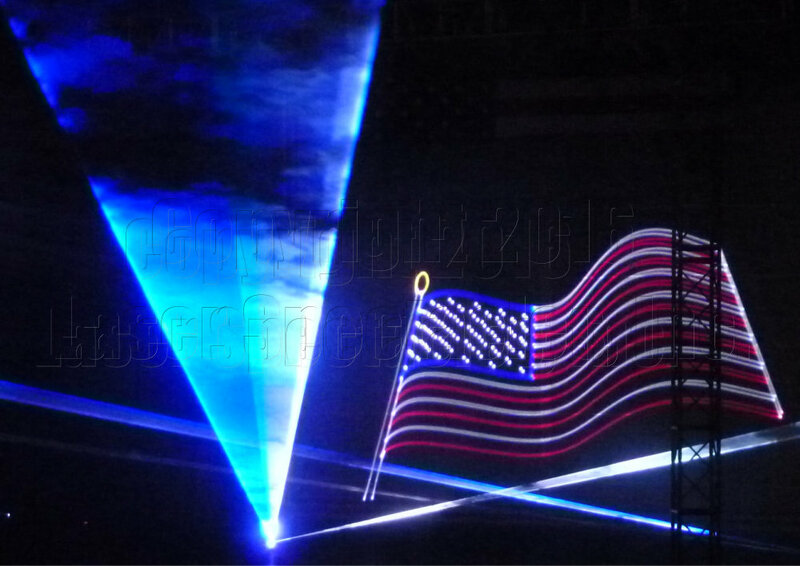 We could hang mirrors on this truss in order to create a more complex laser beam show than normal. 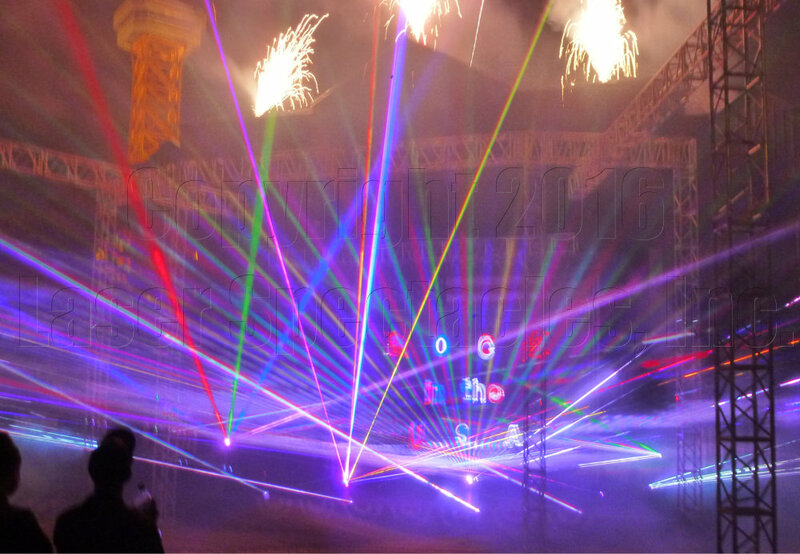 After a couple of days of setup, (and climbing around on truss hanging mirrors) the show was ready. 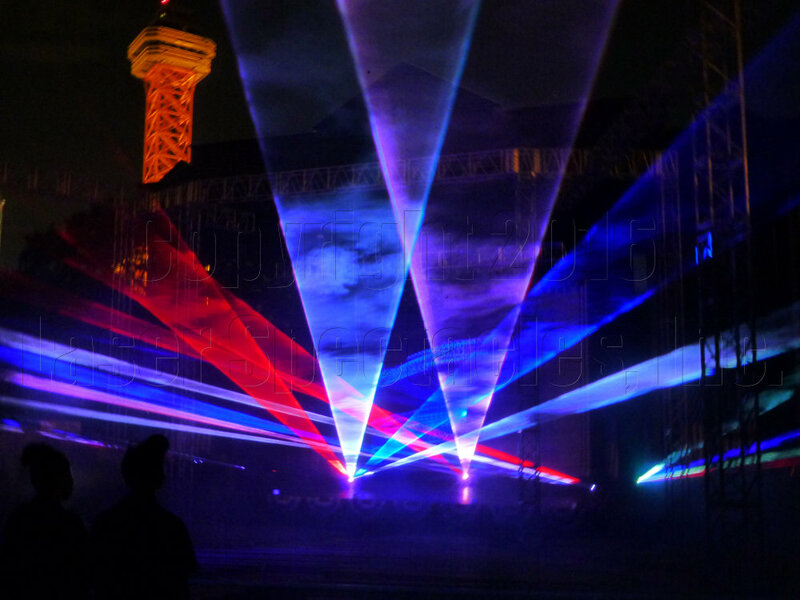 We did three nights under beautiful skies, and perfect breezes to fill the amphitheater with haze so that we could all see the laser beams perfectly. 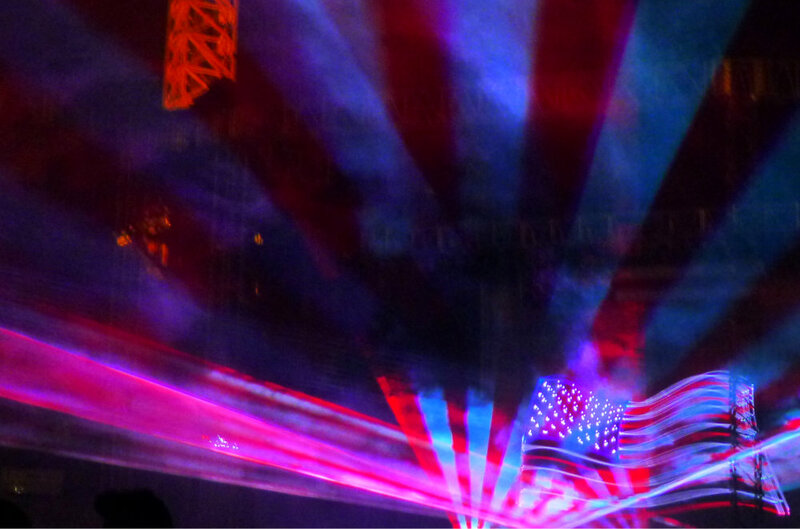 With our friends from Pyrotex providing the pyro, it was a true multimedia spectacle that had everyone going home happy and feeling patriotic.